O, you didn't think I was done already, did you? I'm the person who attached a simple sweater cuff in eleven easy steps. Yes, eleven. And just because all that's left to complete on Kwik Sew K3916 is the Front Band and the hems, it doesn't mean there's nothing left to tweak. The Front Band, the part that becomes the shawl collar, is composed of two pieces that are attached center back at the neck. 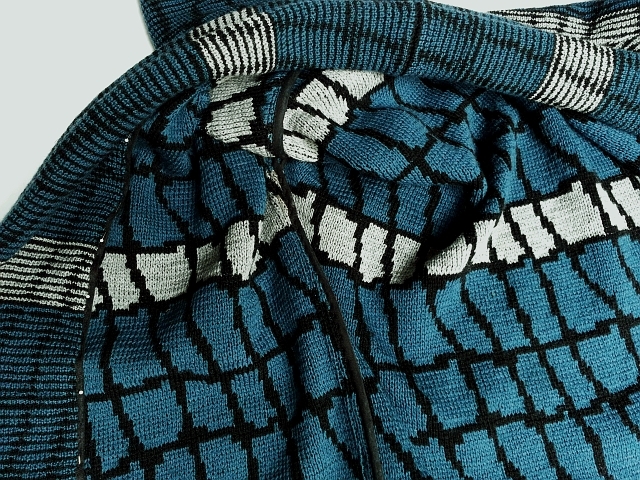 The long, lengthwise folded fabric is then supposed to be attached along the edges of the cardigan front opening and along the front and back neckline edges as a band. (I guess that's why it's called "Front Band"!) Folded over one more time, it becomes the shawl collar. I've decided it might look nicer on the inside of the cardigan if I actually encase the raw front and neck edges of the cardigan with the Front Band piece. 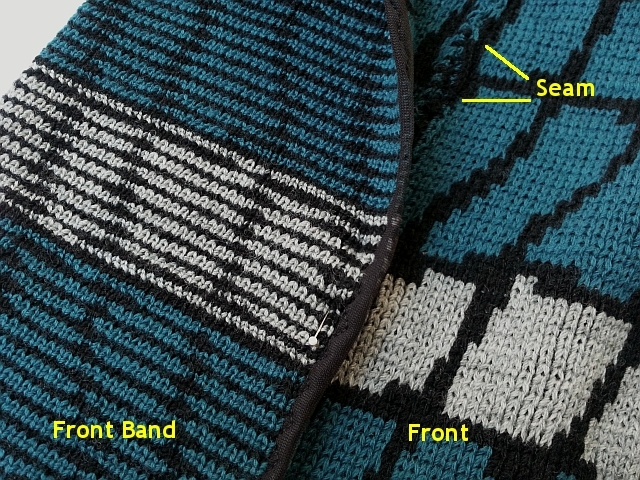 In the picture above, the right hand side of the picture shows the Front Band folded almost as it will appear on the cardigan. I've opened up the other side (halfway) to show my finished (stretchy Hong Kong technique) edge that will be on the inside of the sweater. Here's the Front Band again, this time with the raw front edge of the cardigan sandwiched between the two sides of the "Front Band". The raw edges of the Front Band were sewn to the raw edges of the Front and neckline right sides together. Now I'll use a blind stitch to sew Front Band on the inside of the cardigan. Despite this crazy inside pic, the cardigan is beginning to take shape! The end is near. And I really mean it this time. Really. 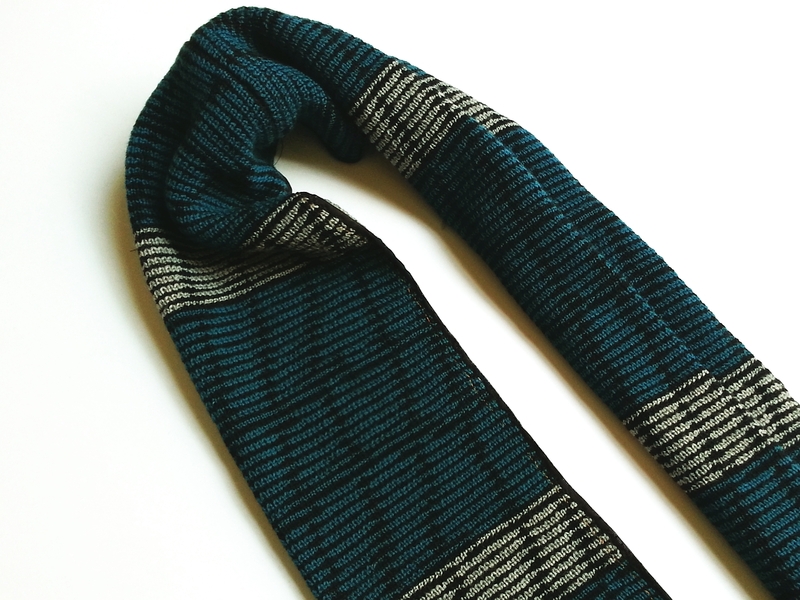 Love the design of your knit fabric! I'm quite intrigued by your photos and can't wait to see it finished!